Ever wanted to make a single layered corset but wasn’t sure how to set the eyelets without that second layer? 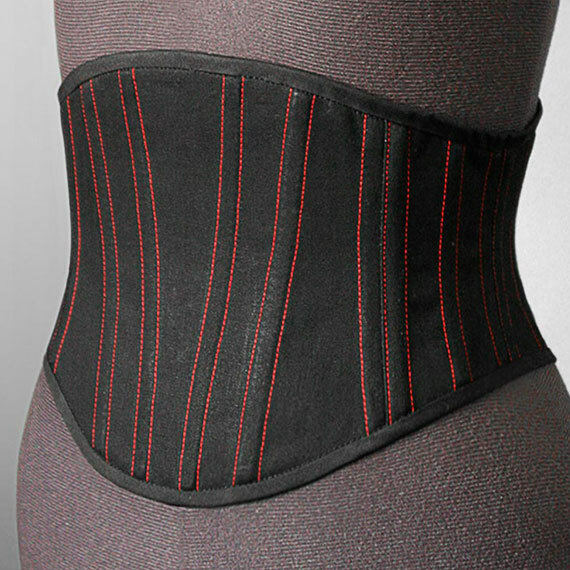 Perhaps you’re new to corsetry, feel overwhelmed by the prospect of making a lined two layer corset and want a simpler option? Well this step-by-step guide will take your hand and walk you slowly though the process of making my free corset belt pattern. Including how to sew and set the eyelets on a single layer corset, how to add single boning to the seams as well as double boning and boning in the middle of the panels so you can confidently sew the simple, intermediate and advanced boning options on the free pattern. Corsets aren’t just for advanced sewers; they seem difficult because their construction is so different to that of any other garment. 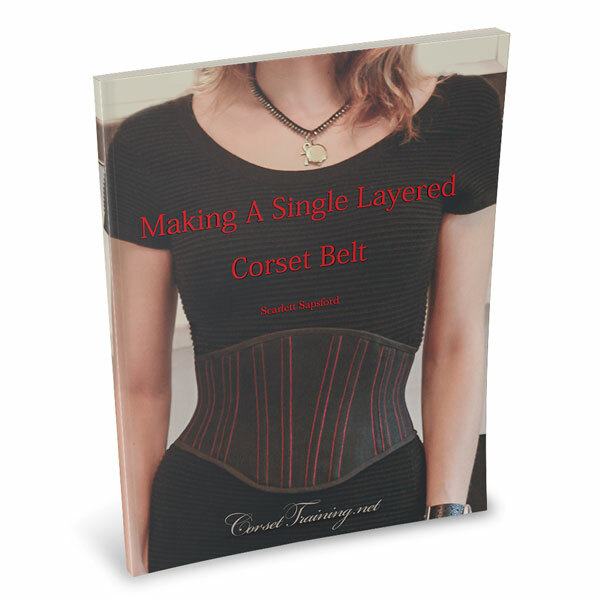 With my easy to follow step-by-step beginners’ instructions you can see how each step is done; constructing a corset really is fool proof – or I’ll give you your money back! All you need is the ability to sew in a straight line either on a sewing machine or by hand! This book will hold your hand and guide you through everything at beginner level detail. From where to get good quality, inexpensive materials to exactly how to construct your single layered corset step-by-step. It’s a complete guide to creating a single layered corset, including how to create double boned seams and how to set eyelets on a single layered corset.